How would it feel to surround yourself with sand and sea, unplug from life and get fully connected to your mind and body? Cleanse your body with holistic gourmet cuisine, kickstart your health with 3 daily yoga, pilates, and meditation classes, learn to balance on a surf board, and soak up the local flavour through chocolate making workshops and volcano boarding. Surround yourself with other like-minded women in a powerful community. Allow yourself to be pampered. Learn to live your biggest life. 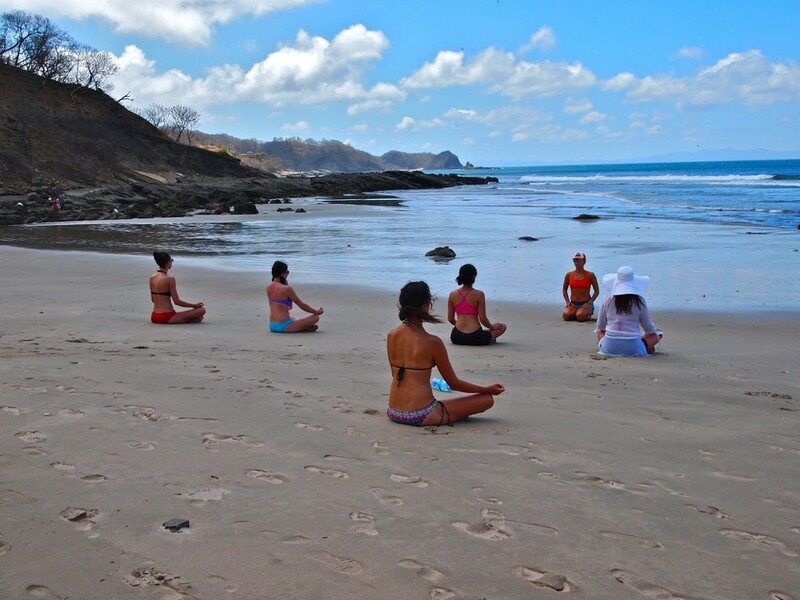 Escape to beautiful and exotic Nicaragua to enjoy some much needed “me time”. It’s your time – Elevate your life! Transportation from and to Managua Airport (Jan 9 & Jan 16 only) Does not include airfare. All non-alcoholic beverages: pure water, smoothies, fruit juices, coffee etc. 50% deposit to reserve your spot. Nikki Bergen, Creator of The Belle Method & Carol Schulte, Founder of Women Living Big. Guest Yoga teacher Ashley Hilmes, co-founder of Vega Vitality in Boston. Nikki’s passion for women’s health has guided all of her endeavours. She’s the creator of The Belle Method, a Fitness Philosophy for Women with locations and teachers across Toronto. A former professional ballroom dancer, today Nikki is a Master Pilates instructor, Pre & Postnatal Expert, Labour Doula, Breast Cancer Rehab Specialist, Food Allergy Coach and Body Transformation Guru. In 2014 she launched her first 5-part video exercise series, available online. Nikki is also the founder of Elevate Retreats; leading transformational trips to Muskoka, Jamaica, Tuscany, and now Nicaragua! She loves green smoothies, the Rolling Stones and grand adventures, and believes women are the all-powerful beings that will eventually heal the world. Communication trainer, professional speaker, expert yogini, and certified coach, Carol is on a mission to empower women to live BIG lives (how many folks can say they’ve lived in an Ashram, shaved their head, or bungee jumped naked?) no matter what life throws at them. She holds a BFA in Theatre Performance and an MA in Communication, and is the creator of ‘Spark your G.E.N.I.U.S.™’ ~ a program for fabulous women to step into their true brilliance and take ACTION. She has led workshops & yoga retreats internationally from the UK to Sri Lanka, and has lived, worked, and volunteered in 8 countries including Thailand, India, Peru, and New Zealand. Filled with a contagious passion for life, Carol is also a volunteer bereavement facilitator and marathon runner. She is thrilled to be co-hosting Elevate Retreats Nicaragua in January 2016!